One day, the heir to the prosperous Kaburagi Corporation, a soft-spoken yet cultured young man, received a visit from his family lawyer. He came to pass on the final wish of the boy's late grandfather: that he attend an all-girls school! With his childhood friend Mariya - a talented fashionista - to help him with the "transition," Mizuho enrolls in his new school. It's not long before a series of strange misunderstandings leads to him being elected the school's "Elder Sister," the idol of the entire student body! It's one wild event after another at this all-girls charm school! Can Mizuho make it through the year with his identity - and his dignity - intact? Mizuho is a male protagonist who transfers to an all-girls school per his grandfather's will and must crossdress in order to attend. 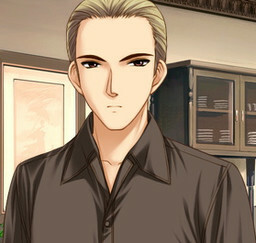 He already looks very androgynous, so the change thankfully isn't obvious to the other members of the school. However, Mizuho is always nervous about being found out and constantly worries that it will happen. In spite of this, he was well received on his first day at school and has already become very popular among the students. At first he was shocked when he found out about the will, but with the help of his childhood friend Mariya Mikado, who also attends the school, he was able to resign himself to transferring to the school. Despite making the change, he still uses language which is usually only used by males in Japan such as boku (僕), meaning "I". 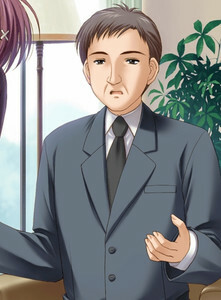 He is generally depicted in his school uniform wearing breast prostheses underneath. Mizuho had to use the surname Miyanokouji, his mother's maiden name, in order to enter into the school; his actual surname is Kaburagi (鏑木). The Kaburagi family's biggest rival is the Itsukushima family, both of which are very well-endowed in terms of money and power. Mizuho didn't realize it at first, but Takako is a member of that Itsukushima family. Despite this, Mizuho doesn't see her as a rival and enjoys her company very much. In fact, they share world history class together and sit next to each other. They often talk to each other during class by either whispering or passing notes. 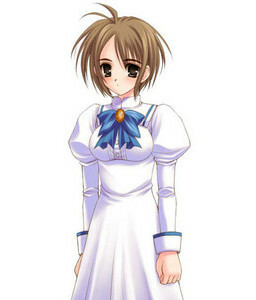 Takako is the student council president of the all-girls school where the story takes place. She tends to have a serious personality which compliments that of a student council president. As the president, she knows that she must be very decisive in her actions and thus cannot often hesitate with her decisions, since she knows the students would have trouble following her if she didn't act as such. As it is, Takako herself has stated how she almost never has confidence in herself. In contrast to her usual attitude, she has shown herself to have a more gentle side to her character. Eventually, she begins to form feelings for Mizuho, though while still under the belief that Mizuho is a girl, she is at first confused about what she has been feeling. She also has a high fear of ghosts. A few years back, Takako was invited to join the track and field team during the same time that the election for new student council members was being held. It was not that she didn't want to join track and field, but ultimately she declined their offer and was able to get elected to the student council. After this incident, Mariya, who is also in the Track and Field Club, thought that her response was unforgivable and thus has carried a grudge against Takako ever since. The truth of the matter was that Takako couldn't handle both the track and field and student council activities simultaneously, though Mariya could never accept this as the truth. She also falls in love with Mizuho even before she finds out his secret. Shion is one of Mizuho's classmates who figures out that he is a boy almost immediately, after their second meeting, but tells him that she will keep it a secret from anyone else. 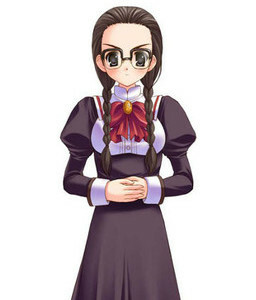 She tends to have a silent demeanor and voice which helps to give her an appealing appearance to the rest of the students. The previous year, she actually had to leave school for a time soon after she was elected as the Elder due to an illness and had to spend her time in the hospital. In effect, she has come back this year in order to repeat her last year, though she still isn't fully recovered, as she will pass out if she exerts herself too much. She becomes an adviser and a female role-model for Mizuho. 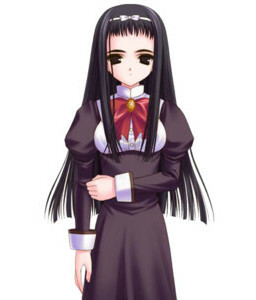 She has been engaged to Kazutaka Itsukushima who is Takako's older brother in Shion's path; Itsukushima family is upstart, and so Takako's father made Kazutaka to be engaged to Shion in order to get Juujou family status because the Juujou family is a former aristocratic (Kōshaku (侯爵)) family. Takako asks Mizuho to rescue Shion from the Itsukushima family. Yukari is one of the first year students at the school who lives in the same dormitory building as Mizuho and Mariya, who also is her onee-sama; it is a tradition for the underclassmen to serve their respective senpai any way they can. Much like Kana and Mariya, she is a very energetic girl, although unlike them, she is deathly afraid of ghost stories and anything scary - a fact which Mariya has often used for her own amusement and which initially caused some trouble when Yukari met Ichiko. 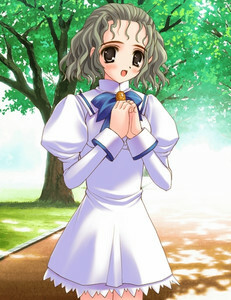 Yukari is on the track and field team along with Mariya, though her main reason for joining was due to her older sister-in-law who had urged her to come to this school and who was also in track and field. However, Yukari soon comes to discover that she really does have a liking for track and field and continues activities in the club even after a time of losing much of her self-confidence. Her another name is "Kohaku no Kimi" at Seio Girls' Academy. <hidden by spoiler settings>She became the student council president and the captain of the track and field club. Incidentally, she retires from the club just before Mizuho's graduation and she begins to study in earnest so that she will enter Mizuho's university in her path. 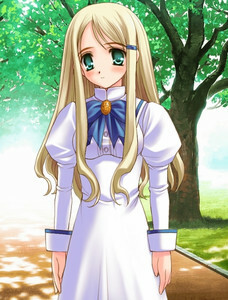 Mariya is Mizuho's first cousin and childhood friend who knows him very well. When it was decided that Mizuho would transfer to the all-girls school she also attends, she took it upon herself to transform him into a beautiful girl by use of makeup and seemed to have a lot of fun dressing him up. Mariya has a very spirited personality which she uses often to make sure Mizuho is acting feminine in every way: appearance, mannerisms, and even speech. This often includes using mild violence. Also, she has a temper, of which she has little control and which sometimes causes her to do unadvisable things or carry grudges to an extreme - such as her grudge against Takako. During most of the time that Mariya has known Mizuho, she has always been there as his support whenever he needed her, though later on in the series she finds that without her even realizing it, he has already managed to stand on his own in terms of self-confidence and maturity. Initially, she is very uneasy about this change and is unsure on how to act towards Mizuho after this revelation. Also, she discovers herself to be harboring some romantic feelings for Mizuho, of which she had been unaware herself. Mariya is in the track and field club and she has another name "Matsurika no Kimi" at Seio Girls' Academy. She also is Yukari's onee-sama. <hidden by spoiler settings>She goes to study abroad in United States after her graduation. Kana is another one of the girls who lives in the same dormitory building as Mizuho, who becomes her onee-sama (お姉さま, meaning "Older sister"). Kana is more than happy to serve Mizuho any way she can, since she admires him immensely. Kana, who like Yukari is a first-year student, has been waiting for the chance to have an onee-sama as she has always been envious of Yukari having Mariya to fill that role. One of the defining features about her is that she often ends sentences with the phrase ~na no desu yo (roughly, "it's the case that..."). Kana wears a large pink ribbon in her hair which was given to her by the director of the orphanage she lived at for much of her life. Ultimately, the director, who loved Kana in place of her missing parents, died right after giving her the ribbon and due to this, she almost never takes the ribbon off. Kana has never seen her mother's or father's faces. But she goes to the school on a scholarship by her effort because the ribbon gives the strength of mind to Kana. Kana is in the drama club. She easily gets nervous on the stage, but she is selected for the leading role at the school festival by Kei who is the president of the club. The stage is favorably received. She plays the main role on the stage after that, and she is called "Shiragiku no Kimi" at Seio Girls' Academy. <hidden by spoiler settings>Later in the game Kana becomes the president of the club and the seventy-fourth elder sister. She enters an university and joins a theatrical company after her graduation. Ichiko is, in fact, a ghost. Her story begins 22 years ago: a previous Elder (actually Mizuho's mother) had a close relationship with an underclassmen who had a weak body. When that underclassman was in hospital, she could not wait to see the Elder. The underclassman got away from the hospital, went to the Elder's room, and waited, but she died before she had the chance to talk with the Elder. That room has been deemed the "closed room" ever since, until Mizuho arrived and started living in it, according to his grandfather's will. She is very energetic and hyperactive, often talking very fast. She took some time to understand that she is a ghost, and by that, dead. She says that Mizuho looks very much like her previous Elder love interest. Although she can touch people, she cannot pick up objects and she slips through walls. Invisible barriers prevent her from leaving the dorm, but her movable range has extended to the school site after a certain event. Also, she has a capacity for spirit possession and this helps Mizuho in a critical phase once. 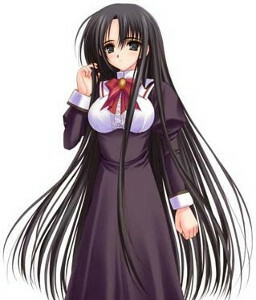 Hisako is Mizuho's homeroom teacher of his class (3-A) and is one of the few people in the entire school who knows that Mizuho is in fact a boy, other than Mariya, the headmistress, the deputy head teacher and later Shion and Ichiko. She has a helping personality and even told Mizuho to come to her if anything was bothering him. She often gives out candy to her students. She was a student of Seio Girls' Academy several years ago, but she had to transfer to another school because of her father's job. She became a sister and a teacher at the school because of Shiori's death after her changing school. 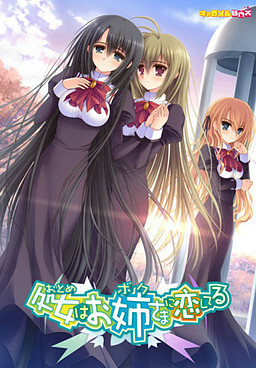 <hidden by spoiler settings>Later, she resigns from the teacher, becomes a novelist and wrote a novel filled with memories about Shiori under the pen name Hisa Kamimura. 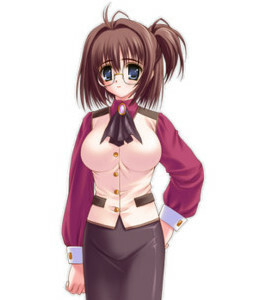 Therefore she is a novelist, she is Chitose's homeroom teacher and the acting principal at the school because and Sawe (a sister at the academy and its principal) asked her the reappointment and the deputy of Sawe while Sawe is under medical treatment. 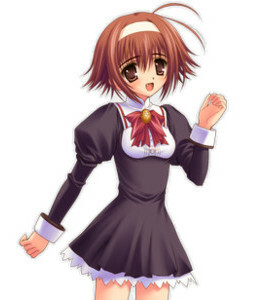 Kimie is a treasurer of the student council and as such, she follows Takako around almost all the time. When they are not together, Kimie will go around investigating various matters and report back to Takako. Much like Takako, she has a very serious personality and would not stop at sticking up for Takako when need be. 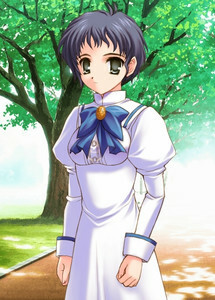 <hidden by spoiler settings>She becomes the student council president for the next term in Takako's path. She is the seventy-third elder sister and her another name is Kaguya no Kimi. Kei is a strange girl in Mizuho's class who usually has a quiet voice and doesn't show much emotion which often gives her a creepy visage. She is the director of the drama club and during times on stage she has to be very forceful in order to get a good response out of her actors. 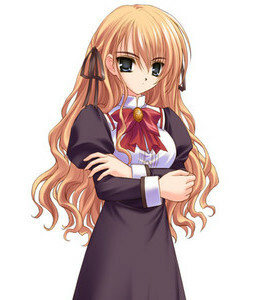 A character with the same name and similar appearance,Takanashi Kei, appears in Alicematic, a game made by Caramel Box (the same studio that created Otoboku). Michiko is also in Mizuho's class and is a good friend of Kei's as they are constantly seen hanging out together. Unlike Kei, Michiko usually has a smile on her face and is a fairly social person. 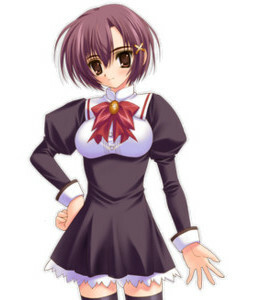 Shiori was Hisako's kouhai at Seio Girls' Academy in her school days. She was good at the piano and was a scholarship student of the music class at the school. Hisaishi was a family lawyer of Mizuho's grandfather Mitsuhisa. He was presented Mitsuhisa's surprising will to Mizuho along with Mariya. Yoshiyuki is Mizuho's father and is the president of the Kaburagi financial group. 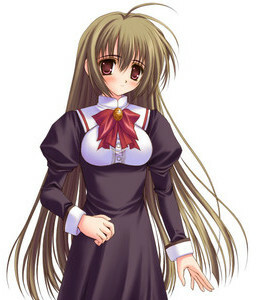 Youko is in the same grade as Kimie, she the student council's vice-president at the school and has a cool personality. She becomes the student council vice-president, or the president, depends on the route. She is called "Mikado no Kimi" in the third grade. Kayano is the head of the flower arrangement club. 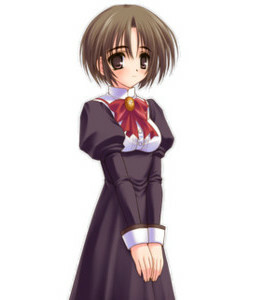 She is Mariya's flower arrangement tutor, and she is personally acquainted with Shion. 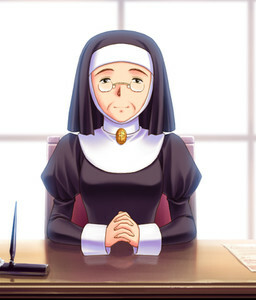 Sawe is a sister and a principal at Seio Girls' Academy. She admitted Mizuho to the school, which makes her one of the few people who knew that Mizuho is a boy from the beginning. 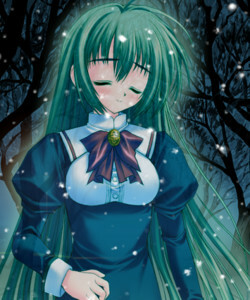 Mizuho's deceased mother. Was once Elder Sister back when she was alive. Went to Seio 22 years before Mizuho did and was a close friend of Ichiko. 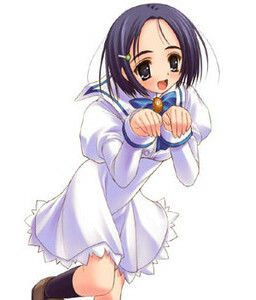 Is described to have looked almost exactly like Mizuho. Died when Mizuho was very young. Kanako, is same grade with Yukari and Kana, is a secretary of student council in the first and second grades, and the vice-president in the third grade. She speaks in a slow tone. 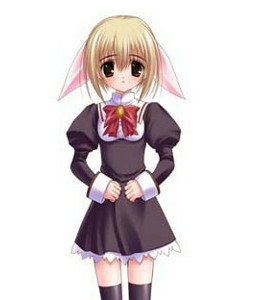 She has a younger sister named Sayoko, who appears in Otoboku's sequel, Futari no Elder.